A heart-warming underdog story filled with fine performances, Fighting with My Family presents the world of professional wrestling as not only a business, but as a vocation. Just as engrossing are the stories behind the wrestling ring. The rivalries, the falls from grace, and the comebacks. One of the more memorable stories in recent WWE (World Wrestling Entertainment) history is that of Saraya Knight, aka Paige, who helped usher in a new acceptance and higher quality of wrestling for a women’s division once dominated by t ‘n’ a. 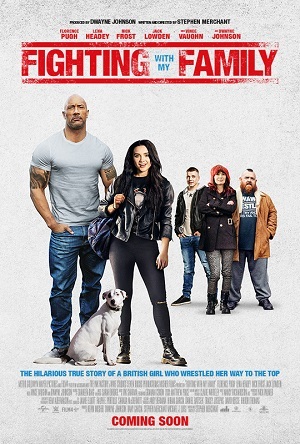 Based on the documentary The Wrestlers: Fighting with My Family, this feature film dramatization produced by Dwayne Johnson, and written and directed by Stephen Merchant, begins in working class Norwich, England, where the Knight family tour local venues as the “World Association of Wrestling”. Parents Ricky (Nick Frost) and Julia (Lena Headley) encourage their children Zak (Jack Lowden) and Saraya (Florence Pugh) to try out for the WWE. When Saraya is chosen and Zak is left behind, it leads to feelings of animosity and a crisis of confidence, which is fatal in a take no prisoners business where competition is fierce. Merchant makes an impression with his directorial debut, striking just the right tone that makes Fighting with My Family both a feelgood and stakes filled watch. 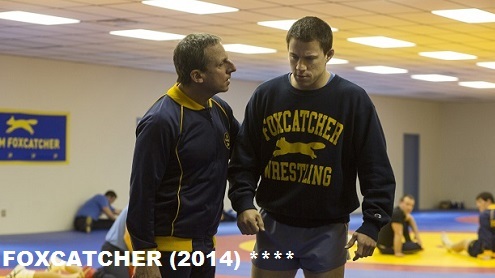 Although a tad too heavy with tis creative license (informed WWE fans will likely grimace at its revisionist history), the film has enough of the “real” to sell its emotional laden underdog story of the peaks and valleys on the road to greatness. Pugh builds on her devastatingly good turn in Lady Macbeth with a breakthrough, star making performance that highlights her deft handle on comedy and physical action, melding both elements with fine dramatic moments that underlines Saraya’s battle not only between the ropes, but in her head. Lowden is great too as the older brother whose dreams are shattered by an elbow-drop of reality. 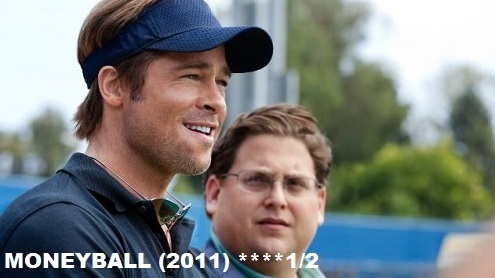 Frost, Headley, and Vaughn all provide solid support, as does Dwayne Johnson who plays himself. Johnson’s interest in the Knight story is only natural, considering he also comes from a lineage of wrestlers. In many ways the wrestling business is made up of clans and tribes, generations of workers in the ring and behind the camera. One only must look at notorious WWE chairman Vince McMahon (himself the son of a wrestling promoter) and his own brood. Saraya’s story is not only one of individual achievement, but achievement on behalf of her family. She “fights” with them, but also fights for them.